KLA Laboratories, a Dearborn-headquartered information technology firm, is opening a new office in Las Vegas with the goal of working with casinos, universities, and arenas in the West Coast region. 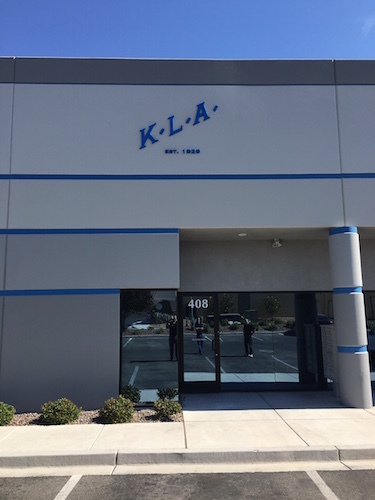 “We pride ourselves on providing innovative, turn-key information technology solutions to clients, and are enthusiastic about establishing successful new partnerships that benefit Nevada’s vibrant business community,” says Matt O’Bryan, president and CEO of KLA Laboratories. A spokesperson for the company says the new Las Vegas-based 1,400-square-foot office, will have five employees, with plans for expansion. The company, which opened a Grove City, Ohio, office in April, will continue to serve its existing client categories — distributed antenna systems, internet technology, and audio visual systems — in its West Coast office, O’Bryan says. The clients of KLA Laboratories, which has 150 employees and a presence in 50 states, as well as Canada and Mexico, include: Ford Motor Co., Verizon Wireless, United States Military, Cisco, AAA Life Insurance Company, University of Michigan, and the Detroit Tigers. To learn more about the company, read the article Hi-Fi to Wi-Fi from DBusiness magazine’s January/February issue.